We have developed an off-the-shelf, synthetic scaffold constructed from biocompatible polymers that harnesses the same regenerative remodeling process. Biorez, Inc., formerly known as Soft Tissue Regeneration, Inc., today announced the close of a $1.5 million investment following preliminary results of the first in-human study of its novel implant for anterior cruciate ligament (ACL) reconstruction. The breakthrough approach makes use of a proprietary tissue-engineered scaffold that stabilizes the knee, facilitates the body to regrow new ACL tissue, and then fully resorbs, leaving only new, functional tissue. Connecticut Innovations, Connecticut’s leading source of financing and ongoing support for Connecticut’s innovative, growing companies, led the investment round. Vertical Group and KLP Ventures, an affiliate of Launch Capital, also participated in the round. Biorez will be sharing the detailed results of the human trial in private meetings with key partners, surgeons, and researchers during the American Association of Orthopedic Surgeons (AAOS) meeting in San Diego, from March 14 through March 18, 2017. Biorez is the first company to clinically investigate a tissue-engineered scaffold for ACL reconstruction in a human trial. 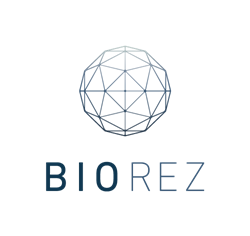 Biorez, Inc. is a privately-held, early-stage regenerative medicine company engaged in developing bioresorbable scaffold implants to regenerate functional tissue in vivo. Its lead product candidate is an off-the-shelf implant for ACL reconstruction that spares harvesting of patient donor-tissue, and provides a better alternative to cadaver-based materials. The company plans to commercialize its lead ACL technology, as well as expand its platform to develop new and innovative clinical solutions. To learn more, visit http://www.biorez.com.